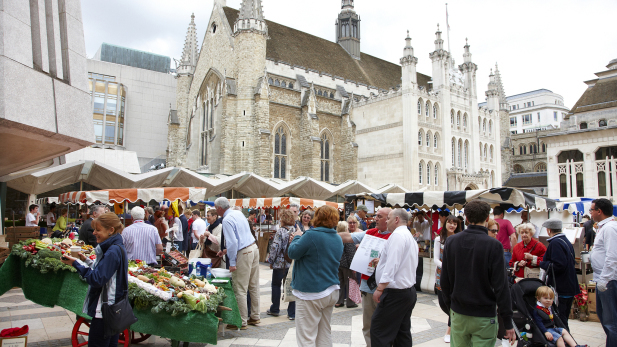 There is a new food market that has opened up this summer in the heart of the city; with beautiful and historic surroundings of Guildhall Yard. The market will host more than 20 stalls serving up mouth-watering selection of dishes from around the world. The above is just a selection, you can choose from other cuisines such as classic Greek souvlaki, Spanish chorizo, Scottish Haggis, Jamaican Jerk Chicken and vegetarian South West Indian specialities. There’ll be plenty of sweet treats to take back to your desk too including gourmet brownies from the Bad Brownie Company and decadent doughnuts from Cakehole. Due to the market opening in the heart of the city, it is essential that all waste is collected and things that need to be recycled should be recycled appropriately. We at EC Waste Services will provide a cheap and affordable service, we provide a service based around your needs. As the markets will be running monthly throughout the summer, there will be a constant demand for waste that will gather up. This will attract unwanted pest that will just ruin your mood for the food, so we will be more than happy to help assist with the site clearance.